Get your tickets for the Fort Atkinson’s 69th Annual Wisconservation Club Annual Banquet!!! 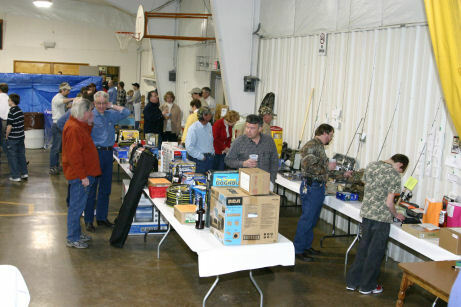 Prizes include guns, guns safes, fishing equipment and perhaps even a kayak or two! Serving: Featuring our famous ALL-YOU-CAN-EAT-ROAST BEEF DINNER. How to get tickets: Print out the Banquet Registration Form and return with check to PO Box 231 Fort Atkinson WI 53538 by February 28th. The Wisconservation Club greatly appreciates all banquet donors !